This is a little game we made during BBQ Game Jam 4, a 24-hour long game jam where you eat more than you actually create. The theme of the jam was "divide and conquer". 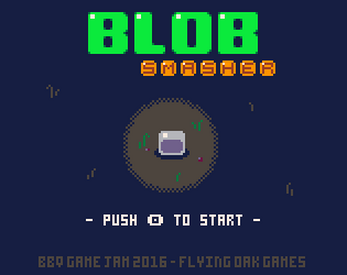 Blob Smasher is a 2-player versus game. Smash the blob to divide it and throw it at your opponent. Don't get hit by a blob of the opposite color!